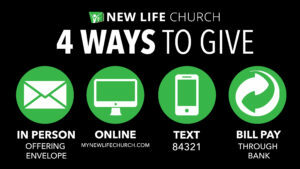 At New Life, we want to help you in your commitment to giving as a form of worship. You can give in person or electronically as God directs you. Offering envelopes are available at each of our locations giving you the opportunity to give during the worship service. Text any amount to 84321 to give. First time users will receive a link to setup your payment method. Setup takes about two minutes, tops. After that, donating is as simple as sending a text. It’s the easiest, most spontaneous way to donate! If you would like to designate to a specific fund, simply text the amount followed by the fund (example: 100 kingdom builders). 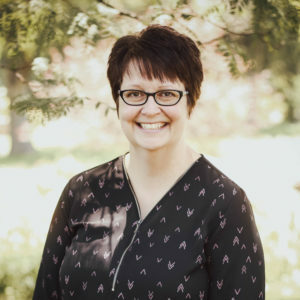 The default fund is Kearney Campus Tithe. If you have access to “bill-pay” through your bank, you can set up New Life as a “payee.” Simply tell the bank what to pay from your account and how often, noting in the memo or note area any part of the offering that is for Kingdom Builders, etc. If there is not a notation, the gift will be considered general tithe. Please consult your bank for specific information.